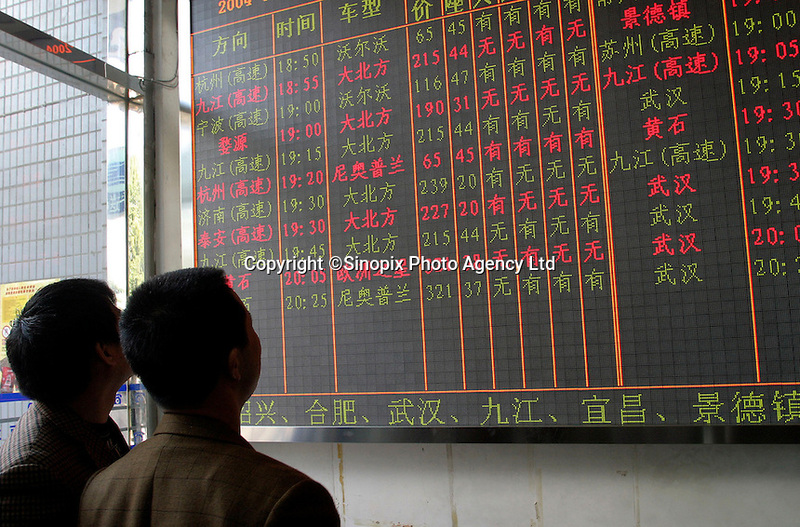 Home-bound migrant workers check for available seats on a electronic information board at a long-distance bus station in Shanghai, China. China has over 300 million migrant workers across the country, all of them are attempting to return to their homes to celebrate the Chinese New Year, the biggest traditional holiday in China, with their families. This rush has created a massive pressure on the country's transport infrastructure with train and bus shortages..